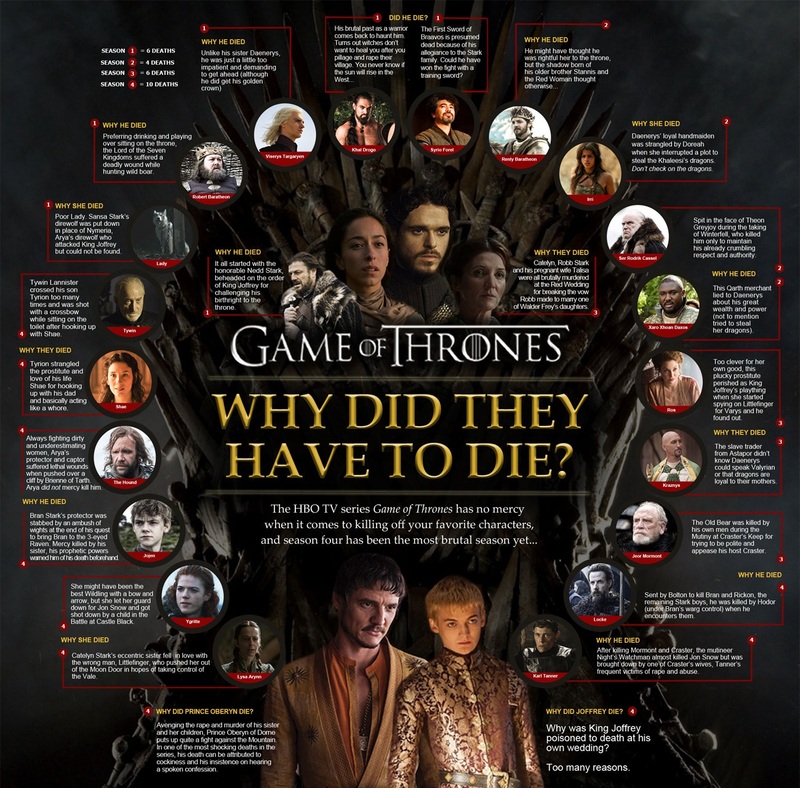 Game of Thrones Infographic: Why Did They Have to Die?. . 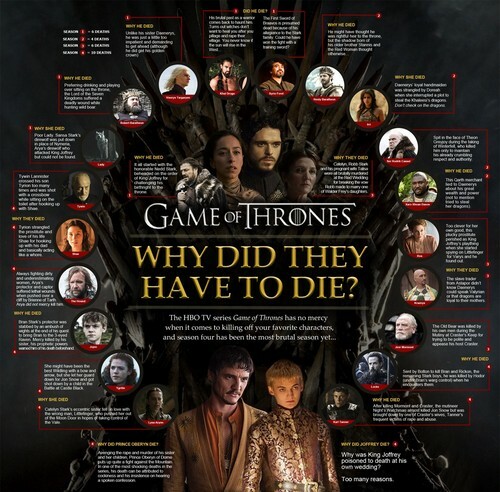 HD Wallpaper and background images in the Game of Thrones club tagged: photo game of thrones infographic season 4. This Game of Thrones photo might contain anime, comic kitabu, manga, cartoon, and mkono.